Free vs. Freedom | Do You Think Free? Many of us are quick to take free stuff. However are these things really free? Most (if not all) of the things that are given away must be paid for by someone. Let’s take a look at some of the more common things that people are quick to take advantage of. There are many, including businesses offering incentives, charities, food stamps (now called EBT which stands for Electronic Benefit Transfer or SNAP for Supplemental Nutritional Assistance Program), there is unemployment, welfare, heating subsidies and housing subsidies and the list goes on. Who pays for these things? Free perks offered by a business are funded by the customers, as a general rule. Often there is a requirement to purchase something…free toothbrush with purchase of XYZ toothpaste. Sometimes free things are offered in the hopes that you will purchase something, but again the expense is factored into the items for sale. Charities (private organizations) are funded by donors who willingly give money to the group. But they are also funded in part by your tax dollars, if only because they do not have to pay taxes on their income. Now I am not saying this is a bad thing, only pointing out the fact. Actually, I think that income tax is theft and anti-freedom, but that is for another post. 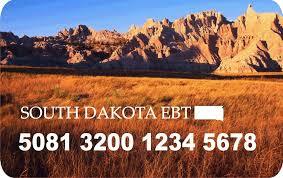 Welfare, EBT and other subsidies are slavery in disguise. Those who work are forced to give the proceeds of their labor to others…who may or may not NEED the funds, but did not EARN the funds. Make no mistake, this is not charity. Charity is voluntary, not forced and the donor can select the beneficiary. The other insidious effect of these programs is the theft of the self respect of the recipient. There was a time when no honorable man (or woman) would take a handout except under the most dire circumstances. If they were forced to accept charity it was paid back as quickly as possible. Today, there seems to be a race to see how many “free programs” one can participate in! In Virginia former Governor McDonnell gave an award and a promotion to a Social Services director for growing the department and exponentially expanding the number of recipients. Isn’t the goal of such programs supposed to be helping people to become self sufficient? Or is it to “create more jobs” by expanding government and requiring those working in private industry to give up even more of their hard-earned dollars? The concept of freedom is that if you work hard you will be rewarded by accumulating wealth which you can use to make your life, and the life of your heirs, more enjoyable. The practice of penalizing success is counterproductive to that goal. There are many lures to entice us to take these give-away programs, but there is always free cheese in a mousetrap. Even if we don’t have to pay for these things, our children and their descendants will. Perhaps we should think long and hard before we give up our freedom and theirs in exchange for a little bit of “free” stuff.